Pharmacies across Massachusetts can now dispense drug overdose reversal medication without a prescription. Gov. 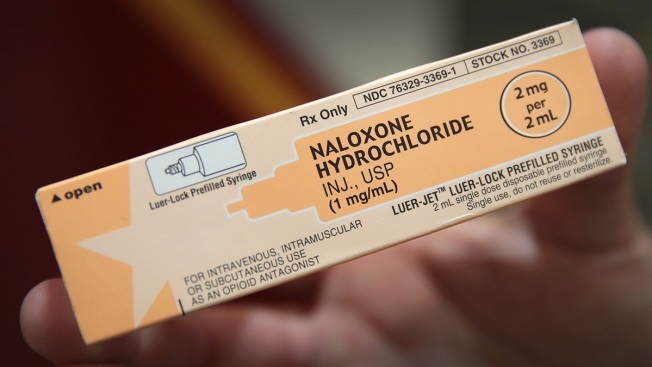 Charlie Baker announced Thursday the state Department of Public Health has issued a statewide standing order for the distribution of naloxone, which is also known by the brand name Narcan. Individual pharmacies previously had to obtain special approval to dispense the drug, which is billable for insurance purposes, without a prescription. The new order was mandated as part of a broader opioids bill Baker signed into law in August. Baker also said Thursday the state plans to use $36 million in federal funding to combat the opioid crisis to provide addiction treatment medications to more inmates at county jails, among other initiatives. Opioid-related overdose deaths in Massachusetts dropped 4 percent from 2016 to 2017.